Uncategorized Archives - Page 3 of 8 - Western Fence Co.
February 22, 2017 /in Uncategorized /by Western Fence Co. If you have been on the fence (pun intended) about installing a classic looking, new vinyl fence this spring but want more information, then this article will be worth the read! Much like any other fence material, there are pros and cons to vinyl fencing for various scenarios. Read the pros and cons described in this article and decide if a vinyl fence is right for your yard! Forget about building, hammering, painting, or lacquering your fence to get the look you desire — vinyl fencing is an easy way to create a beautiful fence around your home without much work on your part. There are many vinyl fencing styles to choose from, from a white picket fence to a stone wall. Vinyl fencing may seem like an easy choice and a dream come true, but before you order the materials for your next fence, make sure you’re aware of all the pros and cons of vinyl fencing before you make your final choice. Vinyl fencing looks as if it took a lot of work to build, but is premade and only requires installation. The installation of vinyl fencing is much easier than building a fence. Fencing comes in many designs and colors. Prebuilt gates can be ordered to match your vinyl fencing. Vinyl fencing has a longer lifetime than many wood fences which can fade, crack, and rot. Vinyl fencing is easy to clean and requires almost no maintenance. Many manufacturers have lifetime replacement for their vinyl fencing in the case of cracking, fading, or other types of natural damage. Specific kinds of fencing are designed to keep out sound, while others have very specialized resistance to high wind speeds. The cost of vinyl fencing is much higher than the materials used to create a fence out of wood, rock, wire, or cement. Vinyl fencing will not last as long as fencing that is made out of rock or stone, which is very solid and can last generations. Vinyl fences do not have a long lifetime in very sunny climates because too much exposure to sunlight can cause them to crack and crumble. While putting up a vinyl fence does not take much effort, it also does not give you the satisfaction of a heavy duty DIY project, since the fencing is premade. Installing a vinyl fence requires at least two people and a few days to complete. Different styles of fencing have different types of assembly and installation. If a vinyl fence becomes damaged, it can be tricky to repair, depending on the fence style and manufacturing company. To install a vinyl fence, posts must be placed in cement that takes time to dry. Posts cannot be moved after that, so installation must be correct the first time. Vinyl fences are not good for temporary use, due to the posts and concrete. They cannot be moved after they are installed. Vinyl fencing is great if you have the money to splurge and dont want use the time and energy required to build your own fence. The money may be worth the effort, as it takes a lot of work to keep a fence in nice condition. If you really want to create a fence you can be proud of, you may want to build a fence the old-fashioned way with materials from your local hardware store. January 30, 2017 /in Uncategorized /by Western Fence Co. Fences can easily blend in to your outdoor space. A lot of people want their yards to look great and inviting so they add decor to a fence or that compliments the fence. If you have been thinking about doing this this spring to enjoy in the warmer months use the ideas in the article below. At least one should stand out to you. If you have a wood fence, you already know that it adds charm and curb appeal of your home. For added interest, you can also decorate the fence. Here are 9 tips for decorating a wood fence. You can use an old wooden door instead of a traditional gate in a privacy fence. It gives the illusion of a space beyond full of whimsy. If you have a shorter fence, consider using an ornamental metal gate for a sophisticated welcome. Hang flower baskets or boxes around the perimeter of the fence with bright flowing flowers. You can use any kind of containers for this project as long as you have holes in the bottoms for drainage. Incorporate some hanging plants in it for a waterfall effect. Using string, attach one end in a stake in the ground, and the other end at the top of the fence. You can criss-cross the string or just hang it up and down. Plant climbing flowers such as morning glories, clematis, and ivy, which will grow up the string and cover your wood fence in spectacular color. Add finials to the top of your wood fence for a regal look. They are available in different patterns and metals. This looks especially nice on a fence with scalloped edges on the top. Hang several wreaths around your wood fence in a material that will last year round in most climates, like grapevine. Leave them plain for a natural look, or add flowers and vines for additional color. You can even decorate them for holidays by adding different colors of bows, Spring flowers, hearts, battery powered lights, or pine. Adding iron wall hangings that hold candles will give your wood fence ambiance at night. You can place citronella candles in the wall hangings as well, which will keep bugs at bay when you are enjoying time outdoors in the evenings. If you love to watch the birds, hang several on your fence. You can paint them in bright, decorative designs to match your porch or patio. Use bird houses for different types of birds, and keep them filled with food. If bird watching is not your thing, plant a butterfly garden along the fence with plants that grow tall and produce nectar such as day lilies, heliotrope and goldenrod. You can attach an arbor to your fence. They are available pre-made in home improvement stores. After installation, you can plant grapes, flowers or ivy, to grow up the arbor. You can also add a seat in the center of the arbor for a little nook to read or just relax. Hang flag bunting around the center or the top of your fence. You have many choices in designs and color in departments stores or online. You can also change it out for Independence Day, using red, white and blue, or other holidays. January 28, 2017 /in Uncategorized /by Western Fence Co. If you have a gate as a part of your wooden fence it might require more maintenance than the rest of the fence because it has more components. There are tips in the article below from doityourself.com that can guide you through fixing worn down parts of the gate. Read on if you need this guidance. Wooden gates are obviously an important part of your wooden fence, but because they are the most used part of the fence, and hopefully the only section that moves, they are usually the first part of the structure to suffer wear and tear. If you notice your wooden gates sagging or otherwise not fitting properly with the rest of the fence, consider the following points to be able to troubleshoot and fix the problem. If you notice your wooden gates are sinking or crooked, first inspect the screws holding the hinges in place. Chances are some of the screws are either missing or have worked themselves out partly. Tighten up the screws and then monitor them over the next few weeks. If you notice the screws falling out again, choose different screws, maybe larger ones, or add a nut to keep them in place. Your wooden gates could be sagging because the hinges themselves are broken or worn out from too much use. If changing the screws does not seem to straighten out the gates, it may be time to replace the hinges themselves. Go for more robust hinges that will last longer than the previous ones and use heavy-duty screws or bolts to keep them in place. The wooden gates will be attached to posts, which generally should be bigger and sturdier than the rest of the fence posts. Sometimes, the gates will sag, sink or become crooked because the posts are no longer straight. To fix the gate posts, first remove the gates and then either remove the posts to re-set them completely, or simply push them into a vertical position. To reinforce the posts, you can pile dirt or rocks around them or even pour some cement to make sure they stay where you put them. Re-attach your gates, and they should no longer be sagging. If your wooden gates have no kind of extra support, they could sag no matter how straight the posts are or how tough the hinges are that hold them to the rest of the fence. If your wooden gates are simple solid pieces of wood or only have thin decorative wooden beams, you’ll need to add some kind of bracing or support. Do this by attaching sturdy pieces of wood to the back of your gates, either a single piece diagonally, three pieces in a “Z” shape or two pieces in an “X”. If you elect to add a single diagonal support, make sure you attach it from the bottom hinge at the gate post up to the opposite side of the gate. Another fairly straightforward way to secure your sagging wooden gates is to attach a tension rod to each gate. This works similarly to a diagonal wooden brace, but is made of cable and uses tension to hold the gates straight. There is a turnbuckle in the middle of the cable which you can tighten to increase the tension if needed. These turnbuckle tension rods are available in most home improvement stores. January 27, 2017 /in Uncategorized /by Western Fence Co.
With time, wooden fences can wear down with exposure to the elements. The good news is that there are easy tasks you can do to improve the appearance and structure of the fence. Read the article below from doityourself.com to learn more about this. A wood fence is a great way to keep your property private. However, the nature of the wood means its not indestructible. It needs to be regularly maintained. This does take some work, although if performed on a regular basis, it neednt take up too much time. The tasks are very simple. Check all the pickets on the fence to make sure no nails have come out or that none of them have started to rot. Hammer in any loose nails or replace with new ones. Where a picket is rotting or broken, put in a new one. Where you have sectional fencing, test each of the sections to check that its secure. If any are leaning, youll need to ensure theyre replaced in the ground properly so theyre straight. Where theres mildew on any sections of the fence, youll need to clean it off. You can use a purchased mildew cleaner for the job or go with soap and water and a scrub brush. Hose the area down afterward with clean water. Periodically, you should also scrub the entire fence with soap and water to remove all the dirt and grime thats built up. This will help the fence last longer. Be aware that you will always need to inspect the area where the wood fence meets the ground to check for any signs of rot. Rinse it clean with cold water from the hose. If you have one within range, you can also use a pressure washer on the wood fence. Put on two thin coats of paint or stain and give the first ample time to dry before you apply the second. If you havent used paint or stain on the fence, you should use sealer, and this should be reapplied every year to give the most effective protection. Don’t skimp on the water seal. Buy the best you can afford to give really good protection for the wood fence. Using caulk helps with wood fence maintenance. Every year, you should put caulk between the wood fence and concrete fence posts. This will keep out the moisture and help give the wood fence a much longer life. By performing all these tasks, you can greatly extend the life of your wood fence and keep it looking good for as long as it lasts. December 29, 2016 /in Uncategorized /by Western Fence Co. There is another kind of fence you have probably seen throughout the winter that serves a pretty important purpose. They are called a snow fences, and they are sometimes bright orange. They stop snow from blowing into areas where it could be hazard. Snow fences can be purchased at most hardware and home supply stores (like Home Depot) and can be set up by anyone. If you have ever been curious about the purpose of snow fences, read the article below. Big piles of snow: inconvenience or death hazard? snowing in of a log cabin or a home. How Does A Snow Fence Work? safe and easy way to divert the flow of snow that uses simple physics. over a fence or wall, it forms an eddy current behind that wall. fence on the windward side. want to control, thus reinforing the barrier. they blow any snow off the road. Hopefully this can help you understand the function of a snow fence. coast to control the deposition of sand on beaches and harbors. December 26, 2016 /in Uncategorized /by Western Fence Co.
Ornamental and custom fences are something we love to design. They can be unique to the homeowner’s style and the architecture of the house. With the individual aspects each fence has, you have a lot of decisions to make regarding material, size, and design. This article will get your wheels turning if you have wanted to install an ornamental fence in your yard. Be sure to call us with your ideas and we will work with you to create a beautiful fence! property value of your home. you werent quite sure what the task entails, dont put it off any more. This guide will tell you what you need to know. by going with a material that is lower cost. professionals and providing you with contacts for the very best ones. making sure to ask if they are happy with the work. could get in the way of your fence. property value, add beauty and even provide an extra measure of safety. types of fences  dont fence yourself in! December 23, 2016 /in Uncategorized /by Western Fence Co. Some people choose to install invisible or underground fences on their property if they have pets. There are some advantages like security for your pets without a fence blocking sight of your yard or house. If you want to learn about underground fences the article below will give you a ton of information. learn all you really need to know. basement or garage. The transmitter sends a radio signal along the wire. and maintenance packages to keep your system going for a long time. with have your fence professionally installed, see our price guide, Invisible Fence Cost. that many neighborhoods and communities do not allow pets to roam free. pet, and find the right pro to help you get it today! October 29, 2016 /in Uncategorized /by Western Fence Co. If your wooden fence is in need of a quick repair to keep it intact you can try one of the five solutions in this article. Make note, however, that these can only be temporary fixes and a professional should repair the damage when time allows. are a few things you can do to temporarily seal the hole in your fence. yard for a short period. long nails or screws to securely fasten the patch material to the fence. short-term safety of your yard. October 28, 2016 /in Uncategorized /by Western Fence Co. 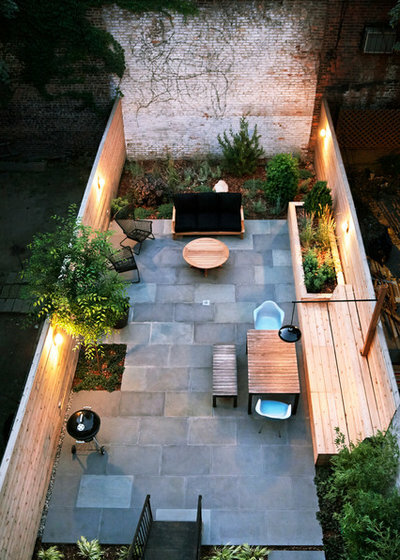 If you have a small outdoor space there are ways you can maximize your space. 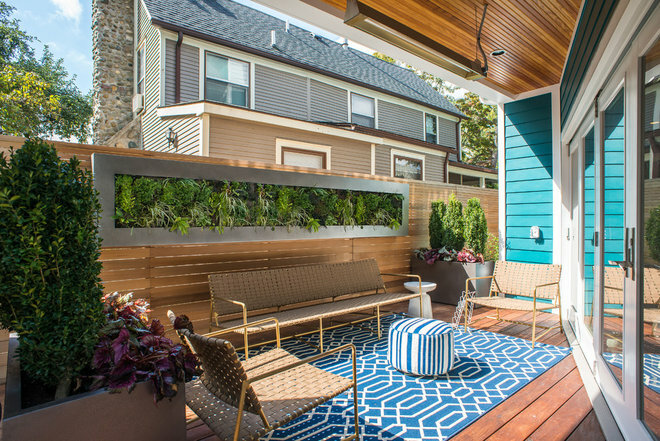 Besides a great fence, you should think about at least one of the sixteen suggestions in this article from Houzz. Utah has great weather that you should enjoy as much as possible, and if your outdoor space is optimized and inviting you can do so! Check out the first part of this article below and follow the link for the other thirteen tips. destination to enjoy. Here are 16 ideas to try. Here an outdoor rug helps establish an extra living space on a small deck in Detroit. October 27, 2016 /in Uncategorized /by Western Fence Co. If you are big on doing projects around your house and keeping the value of your house high there are home improvement tips you should know. This article is great because it focuses on making the most of your time and money for long-term results versus easy, short-term projects that are temporary solutions. Read the first part of this article below, then follow the link to read more. bathroom. Some home improvements, however, are more likely to increase your home’s value than others. Although you shouldn’t think of your home as an investment, with limited home improvement funds, it’s good to consider whether a project has a decent return on investment. Whether winter is coming or you’re considering projects in another season, some home improvements are more urgent than otherssaving you money immediately or preventing devastating damage. Sometimes it only takes ten minutes or less to make simple changes around the house that boost your living space. without the help of a professional). Know your limits, start small if you’re a beginner, and then keep calm and DIY on (if you so wish). Western Fence Co. is Utah’s oldest fence company. We are experts in both residential & commercial fencing as well as design and installation of all fencing types including chain link, wrought iron/ornamental iron, other types of ornamental fencing, vinyl, wood, and aluminum. We also carry and install automatic gate operators and have thousands of fencing products including hardware and fencing panels in stock! We even do custom CNC Plasma Cutting for artwork and railings!